My first ever game of blog tag! I’m “it” courtesy of my friend and great author Eve Gaddy. (her book Cry Love is incredible!) This one is a meet the character game, to introduce a character in a current or upcoming book. So, here we go…oh, wait, first, a visual. Yeah, I thought that might get your attention!! Okay, now that you have a picture in your head, read on. Or feel free to drool a bit more, your choice. Sheriff’s Detective Brett Dunbar. This will be a familiar name to readers following the Cutter’s Code series. In this adventure, Cutter has decided that, contrary to his human’s plans Brett, who needs a little Cutter-style intervention, will be the one dog-sitting him while they are on their honeymoon. When is what the fiction world calls “the ever present now.” Meaning present day, whenever that might be in your world. Where is my beloved Pacific Northwest, and one of our famous ferry boats even made the cover of the book! Brett is an ex-LAPD cop who has relocated to a smaller, much more rural location in the woods of western Washington state. He left to escape that harsh world and painful memories, and was quite happy living a quiet life alone. And then he ran into the people of the Foxworth Foundation, and their uncanny canine partner, Cutter, and his life was changed forever. When what starts out as a simple favor mushrooms into a dangerous mystery of huge proportions, Brett finds himself getting drawn ever more deeply into the world of Sloan Burke, a woman he finds both attractive—a shock to him, since he’d sworn off—and unavailable, since he believes she is still in love with her heroic and honorable late husband. That she is just as heroic and honorable herself makes it all even harder for him. His original goal is to help Sloan solve her simple problem and then extricate himself. But both the problem and his feelings soon become much more than that. 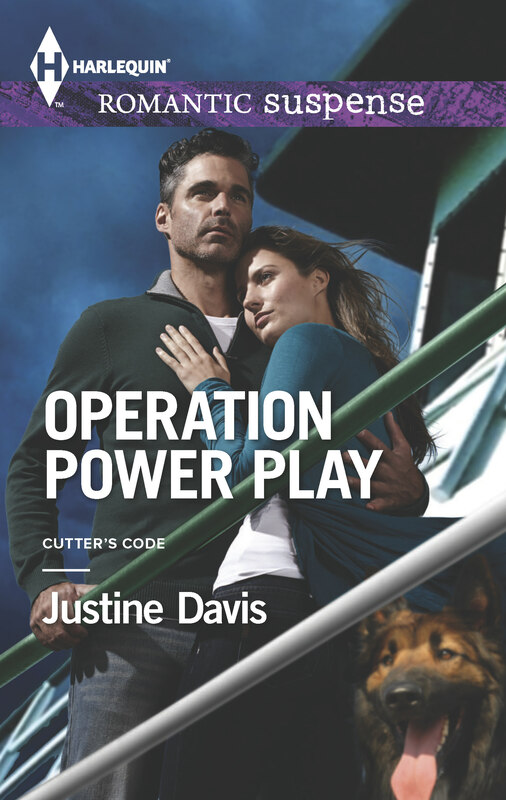 The title is OPERATION POWER PLAY, and it’s available for pre-order now, at the links below.